If your reading this, you have likely decided it’s time to think about updating your headshot. Maybe your looking for a new job, a promotion, giving a talk, or looking for a new mate. But how do you go from a good photo to great photo? What’s the difference? A great photo is where NO detail is overlooked. A good photo is usually pleasing in several ways, but something is just off. Maybe it’s a little thing or maybe it’s obvious. Most people usually can’t quite identify what’s wrong in these kind of photos, but everyone can feel the dissonance and knows subconsciously that something is off. Truth be told there are many important people who’s opinion matter and may never tell you to your face; for fear of offending or upsetting you, if your image is falling short. In business your client wants to know you will diligently handle the account and no detail is overlooked. Your potential new boss wants to know you are organized and can handle the responsibility. In online dating, your potential mate wants to feel a connection with you and not get the wrong vibe. Headshots do matter and a great one is an INVALUABLE tool to help you meet your goals in life. In a great photo your hair is shining, your teeth are white, your skin is glowing and your clothes look amazing. But these are just a few of the elements to consider when preparing for the session. Did you know in the professional photography world there are 12 different elements that the pro’s use to evaluate an image and determine if the image has what it takes to be the best of the best. Your photographer is your guide on this journey and has to pay attention to many different details. To help with this process we like to provide style and beauty consultations to all our Personal Branding clients, to really ensure nothing is overlooked. 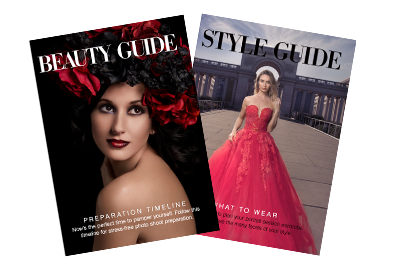 In these guides we offer a preparation timeline and help you organize your pre-shoot appointments to ensure a great photo. Professional Photographers do more than take a quick photo and help guide you on this process. The process takes time and money to do well, but many feel it’s a worthy investment in yourself and your future. A great photo involves a great deal of preparation and planning to ensure everything is perfect and no detail is overlooked. This is the difference between a good photo and a great one. Don’t you deserve to look your best? Contact us today to lean what steps you can take to help ensure you get a great headshot that you really love.